A successful union of Einstein’s general relativity and quantum theory is one of the most fundamental problems of theoretical physics. Though a final theory of quantum gravity is not yet available, its lessons and techniques can already be used to understand quantization of various spacetimes. Of these, cosmological spacetimes are of special interest. They provide a simpler yet a non-trivial and a highly rich setting to explore detailed implications of quantum gravitational theories. Various conceptual and technical difficulties encountered in understanding quantum dynamics of spacetime in quantum gravity can be bypassed in such a setting. Further, valuable lessons can be learned for the quantization of more general spacetimes. In the last decade, progress in loop quantum gravity has provided avenues which allow us to reliably answer various interesting questions about the quantum dynamics of spacetime in the cosmological setting. Quantum gravitational dynamics of cosmological spacetimes obtained using techniques of loop quantum gravity leads to a novel picture where singularities of Einstein’s theory of general relativity are overcome and a new window opens to test loop quantum gravity effects through astronomical observations. The scope of the Focus Issue: Applications of loop quantum gravity to cosmology, published last year in CQG, is to provide a snapshot of some of the rigorous and novel results on this research frontier in the cosmological setting. Can astrophysical black holes have “hair”? 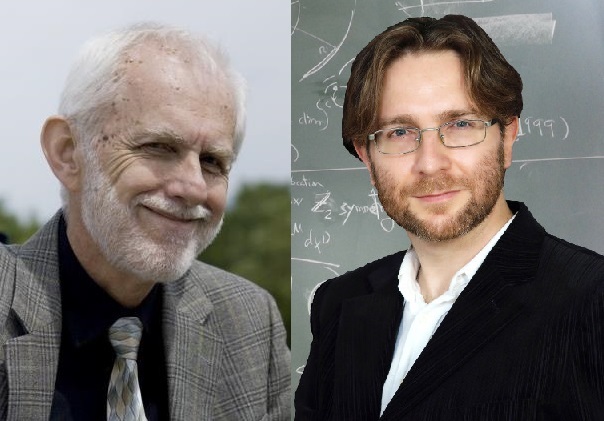 by Carlos Herdeiro and Eugen Radu, Guest Editors of Focus Issue: Hairy Black Holes. 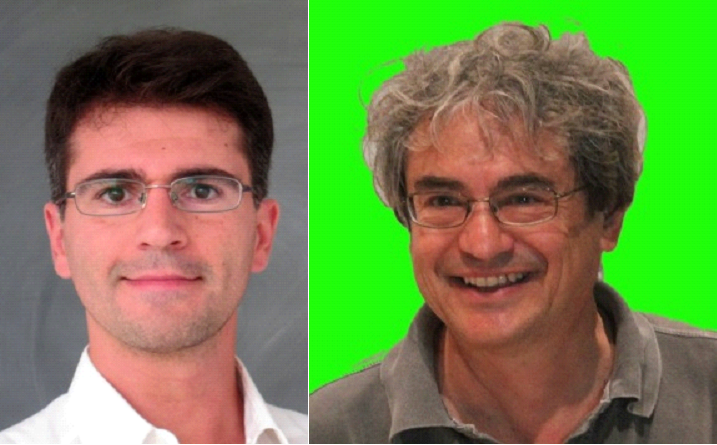 Carlos A. R. Herdeiro (left) got his PhD from Cambridge University (U.K.) in 2002. He is currently an assistant professor at Aveiro University, Portugal, and an FCT principal researcher. He is also the founder and coordinator of the Gravitation group at Aveiro University (gravitation.web.ua.pt). 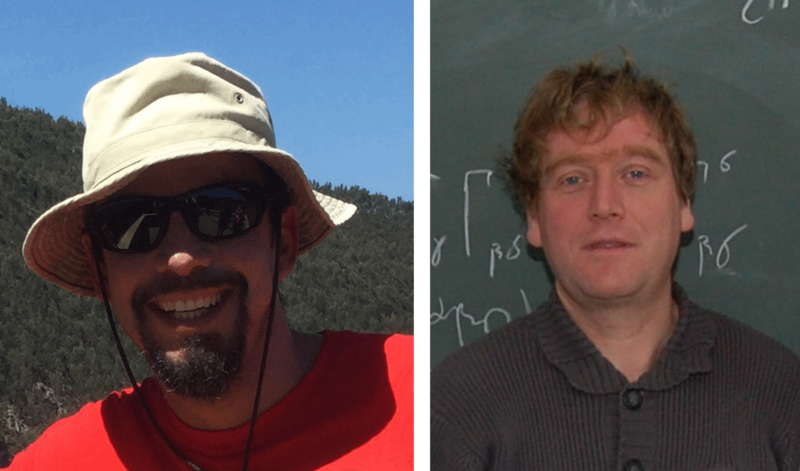 Eugen Radu (right) got his PhD from Freiburg University (Germany) in 2002. He is currently an FCT principal researcher at Aveiro University (Portugal). One of the most recognizable statements about black holes is that they have “no-hair”. Close inspection, however, shows that this is a belief rather than a mathematically proven theorem. Moreover, decades of research on this topic have shown that, depending on what one precisely means, this statement may be simply wrong. That is, as solutions of Einstein’s equations, in a generic context, black holes are not necessarily “bald”. Then, less ambitious, but perhaps more relevant questions are: “Can astrophysical black holes have hair?” and “Can we test the existence of black hole hair with present and future astrophysical observations?”. 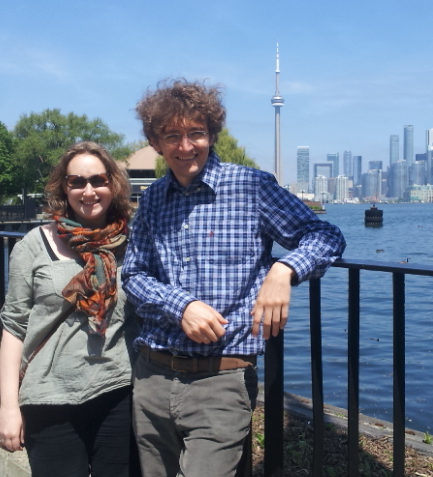 Helvi and Paolo visiting Toronto during the International Conference on Black Holes at the Fields Institute last year. 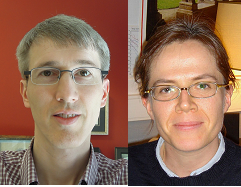 Helvi is Research Fellow in the School of Mathematical Sciences at the University of Nottingham. Paolo is Assistant Professor at Sapienza University of Rome and Research Scientist at the Instituto Superior Técnico in Lisbon. We are proud to present the completed Focus Issue on “Black holes and Fundamental Fields” one year after its first contribution has been published online. This issue appears serendipitously at the same time as LIGO’s historic detection of gravitational waves which, simultaneously, provided us with the first direct observational evidence for the existence of black holes (BHs). We wish to take this opportunity to congratulate the LIGO/VIRGO Scientific Collaboration and everyone involved on their breakthrough discovery! 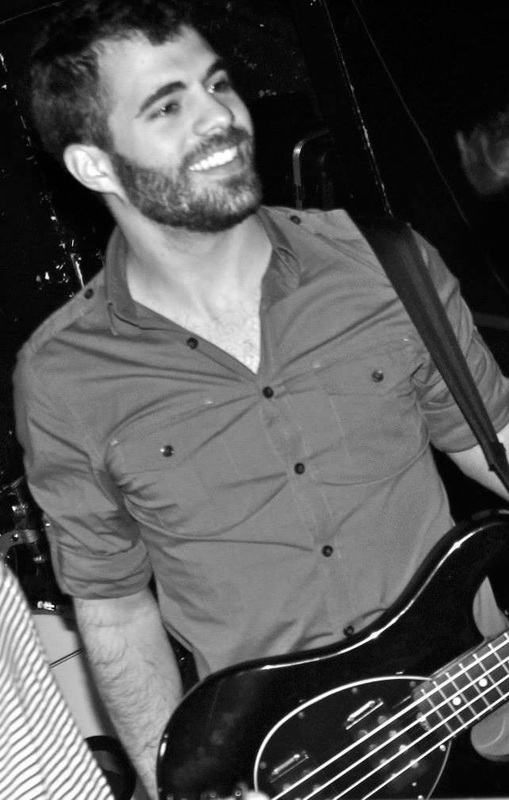 Paolo Pani is a Marie Curie Fellow at Sapienza University of Rome and FCT Researcher at Instituto Superior Tecnico in Lisbon. His research interests include black holes, foundations of General Relativity and relativistic astrophysics. 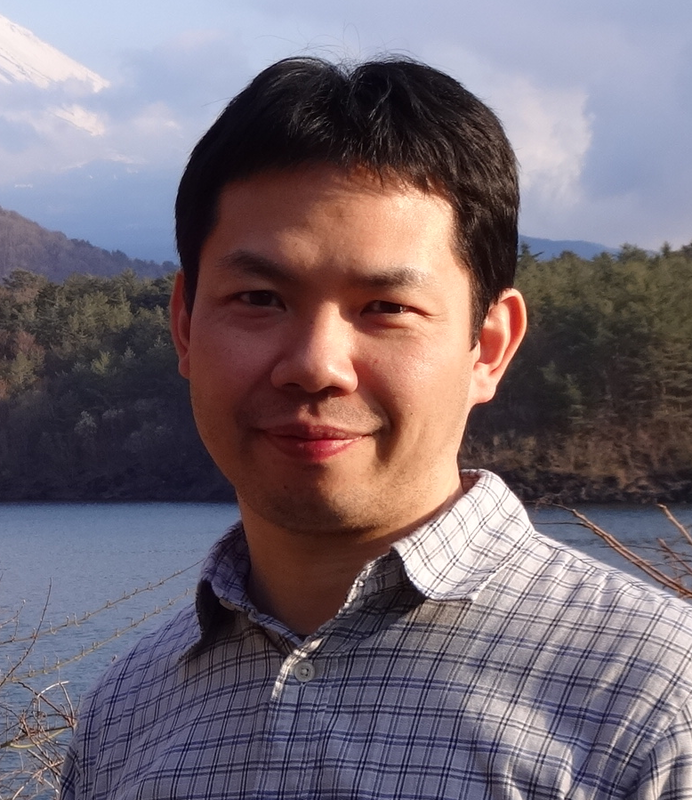 He is co-author of the book “Superradiance” (Springer-Verlag), now in press. Little is known about dark matter, despite the numerous searches for its constituents. Fortunately, everything falls in the same way, so possible imprints of dark matter can be found in gravitational fields. In particular, if ultralight bosons exist in nature, they would make spinning black holes unstable. How does such instability evolve in realistic scenarios? And what can it teach us about the existence of dark matter? We invite you to read the latest CQG focus issue on “Astrophysics and General Relativity of dense stellar systems“, which is available to read now. Dense stellar systems such as galactic nuclei and stellar clusters are unique laboratories, not only for astrophysics, but also for general relativity. The complexity of these systems is such that, in spite of a huge theoretical, observational and numerical effort there are still a large number of open key questions. This focus issue on the “Astrophysics and General Relativity of Dense Stellar Systems” brings together an array of invited articles on important aspects of these questions. We hope that you will enjoy reading the articles in the focus issue; all of which are free for a period of time following publication. 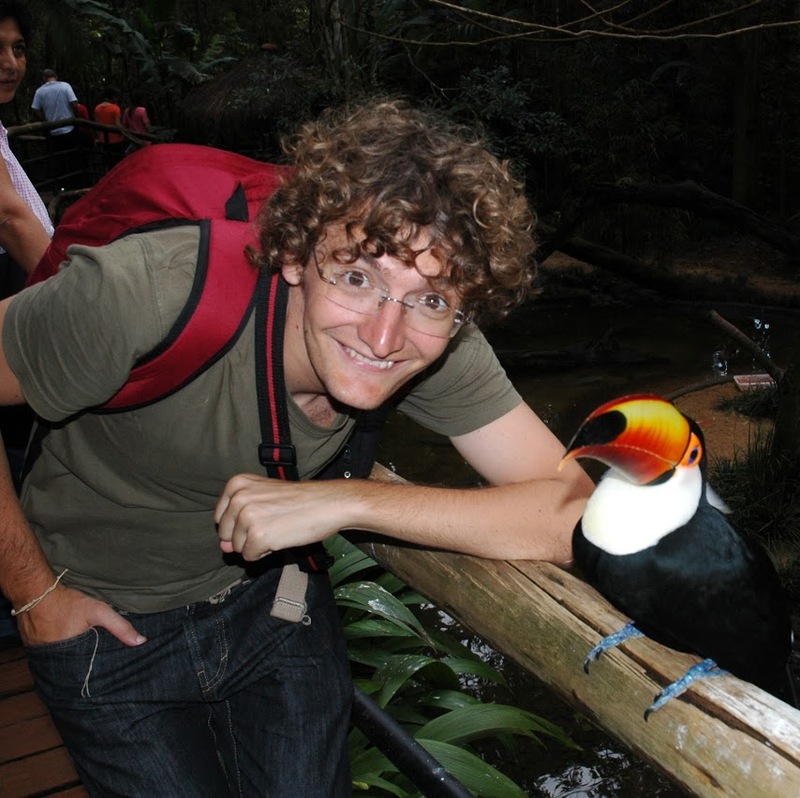 Peter Shawhan is an Associate Professor of Physics at the University of Maryland, USA. 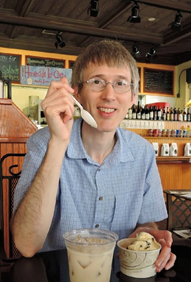 His primary research area is in the analysis of data from gravitational wave detectors and connections with astrophysical events. Marie-Anne Bizouard is a research fellow at CNRS, Laboratoire de l’Accélérateur Linéaire, Orsay, France. She is an experimental physicist working on gravitational wave searches with ground based interferometric detectors. The quest to detect gravitational waves directly has seen great advances over the past five decades, with the earlier resonant “bar” detectors being surpassed in sensitivity by large laser interferometers in the last decade. The first generation of interferometric detectors proved the viability of the approach, progressively improving sensing and control techniques and running up against the fundamental limitations of their designs. Along the way, many searches for gravitational wave signals were carried out and published, but none achieved the milestone of detecting a clear gravitational-wave signal.